When she moved to Memphis as a young woman, Willie Pearl Butler worked hard to support herself and her family. She was employed successively by the Chisca Hotel, Loeb’s Laundry, the Old White Rose Laundry, Memphis Steam Cleaners and Kay’s Nursing Home. But in 1968 her young son was in a serious accident and required her constant attention. It was then that she was forced to seek help from the Welfare Department. An assertive woman, she was well treated but she was shocked at the poor treatment of others that she witnessed. Willie Pearl Butler decided that something must be done. She questioned the welfare workers, researched the laws, and then made an appointment with the director of the Welfare Department. She and nine other women organized the local chapter of the Welfare Rights Organization. She went to a first meeting alone to state their grievances concerning the attitude of some social workers toward poor women. 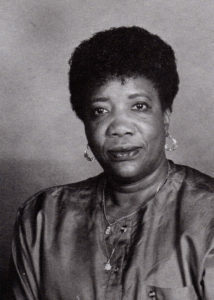 While continuing her work on welfare rights, she helped organize the Resident Council Association of Public Housing and the LeMoyne Gardens Tenants Association. She also got involved in establishing Memphis Area Legal Services and became the first non-lawyer to chair that board. As time passed and her reputation grew, she found herself more often involved in meetings than in confrontations and demonstrations. Through the years, when the rights of the poor in our community have been violated, Willie Pearl was on the front lines to see that justice was done. With unfailing determination, she has struggled to achieve for poor people the respect that all people deserve. Willie Pearl later worked for the Shelby County Sheriff’s Department.